We are one of the leading suppliers of portable Compressor & Generator spares. Providing genuine and affordable spares to customers around the UK and the world, we specialise in manufactures such as Ingersoll-Rand, Atlas Copco, Compair & Kaeser. We supply genuine spares for Compressor, Generator and Plant Machinery. This includes Filters, Running Gear, Airends, Regulators, Gauges, Fans & More. We are proud to say that we now supply Mann Filters for all plant machinery, including Excavators, Dumpers, Backhoe loaders & More. Filters include Engine Oil Filter, Fuel Filters, Hydraulic Oil Filters & More. 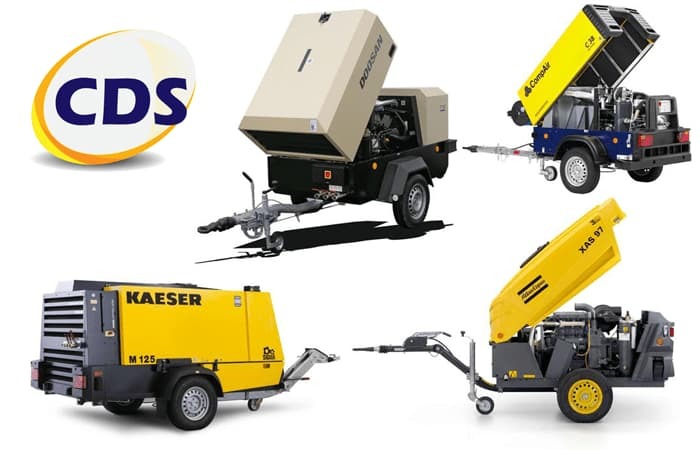 Since the launch of CDS in 2004 we have built a reputation for our in depth knowledge of Compressors and construction equipment, part identification expertise, purchasing ability and our keen competitive pricing. CDS Compressor Spares Limited are based in Leigh, Lancashire. It was formed by 3 ex employees of Ingersoll-Rand who between them boast over 50 years experience in the Portable Compressor industry. They possess a varied range of disciplines in sales marketing, purchasing, accounts, production and engineering. The primary aim of CDS Compressor Spares is to provide the most economical genuine spare parts to owners, users and hirers of Portable Compressors and Portable Generators.